LAGUNA HILLS, Calif. (KABC) -- A 26-year-old U.S. Marine has been arrested on suspicion of shooting and killing his estranged wife in Laguna Hills, authorities announced Friday. 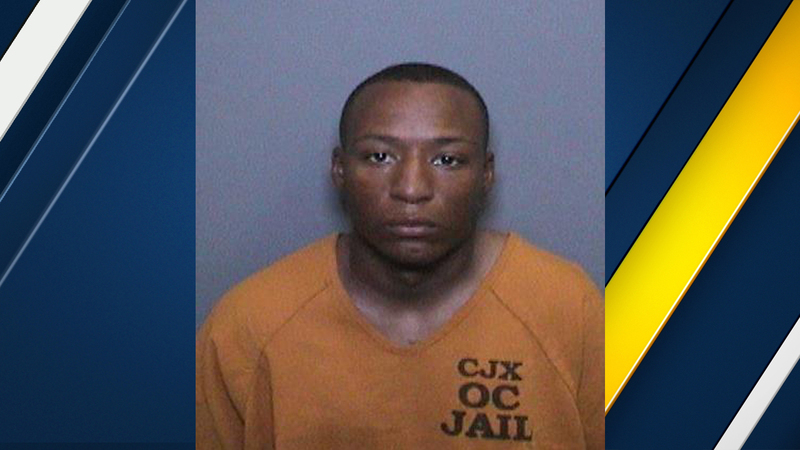 The Naval Criminal Investigative Service at Camp Pendleton initially detained Jerel Boykins as a person of interest shortly after the 23-year-old victim was found dead. Sheriff's detectives later arrested Boykins on suspicion of murder. He was being held in lieu of $1 million bail. Deputies were dispatched to conduct a welfare check about 2:30 p.m. Thursday in the 25000 block of Via Lomas, according to the Orange County Sheriff's Department. The victim, whose name has not been released, was found suffering from multiple gunshot wounds. Orange County Fire Authority paramedics were summoned to the scene, where the woman was pronounced dead. Boykins is expected to appear in court Monday. Anyone with information about the shooting is asked to call the sheriff's department at (714) 647-7000.